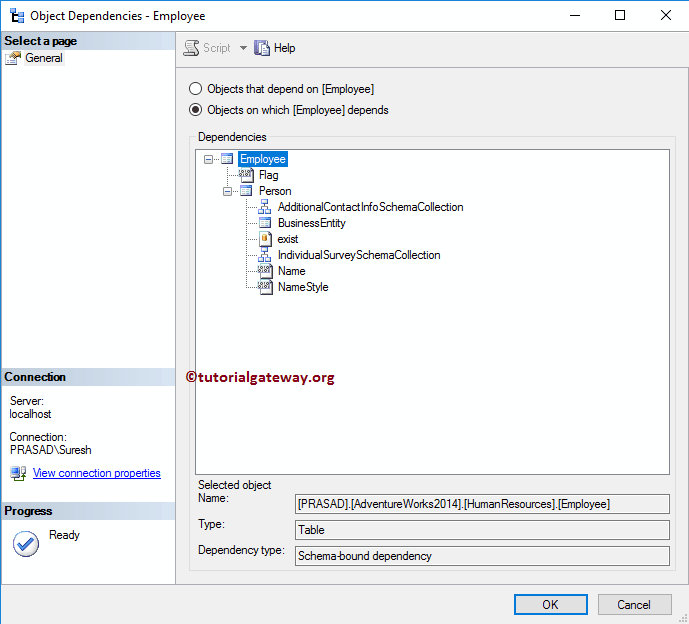 In this article we will show you, How to find the Dependencies of a Table in SQL Server using SQL Server Management Studio, and SQL Query. This is very useful to know the dependencies while you are Altering, or dropping the table. This is one of the most Frequent Question in SQL Server forums. 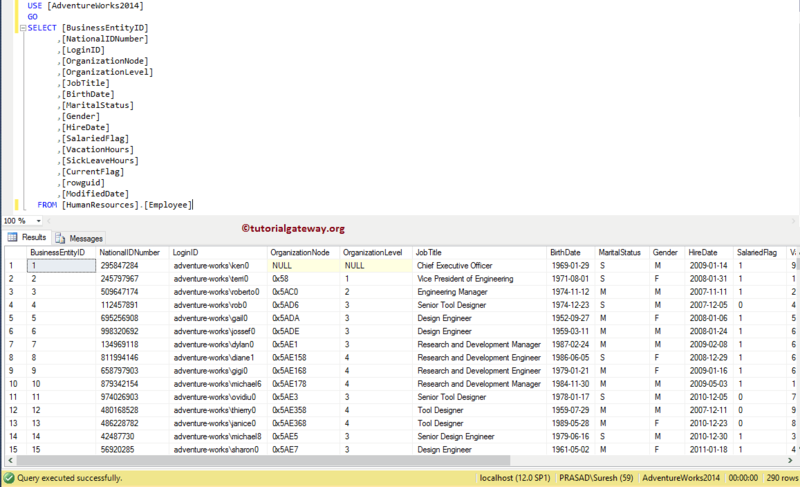 To demonstrate the same w are using the HumanResources.Employe table present in the Adventure Works database. 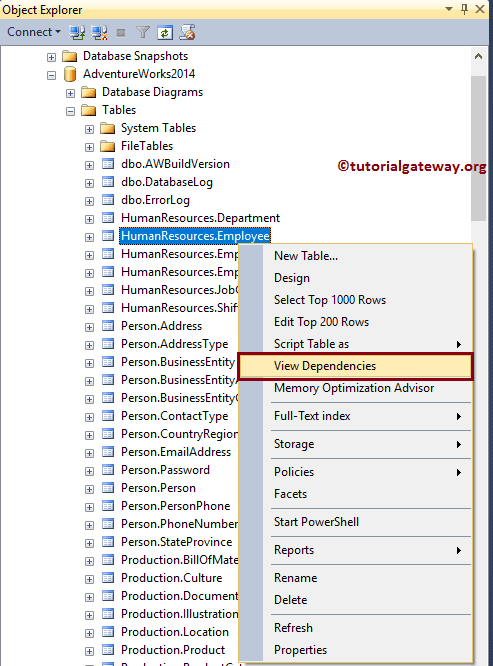 You can use SQL Server Management Studio to find the Table Dependencies. 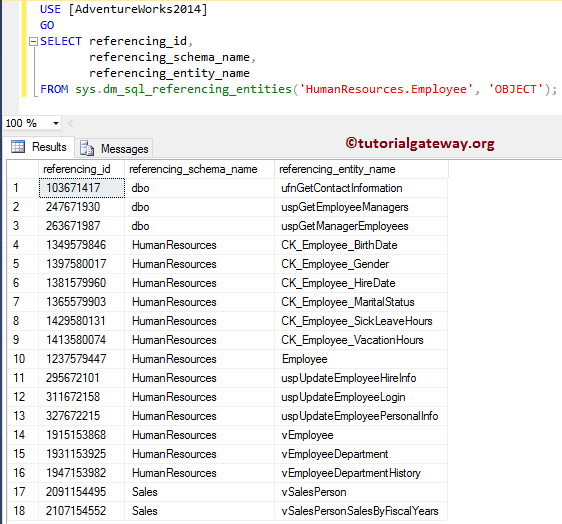 For this, Got o the Object Explorer -> Expand the Adventure Works Database Folder -> and find the table for which you want to find the dependencies. 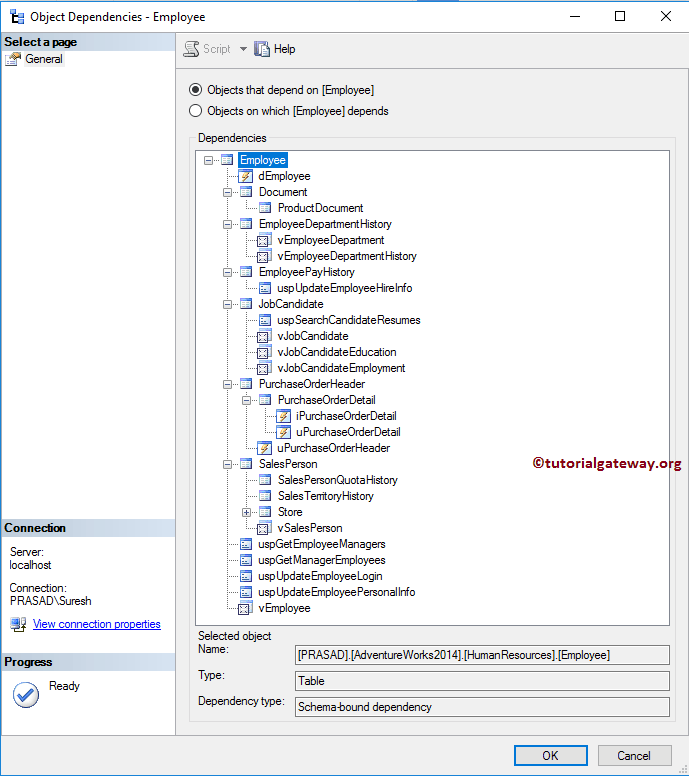 Right-click on the Table name, and select the View Dependencies option from the context menu as we shown below. 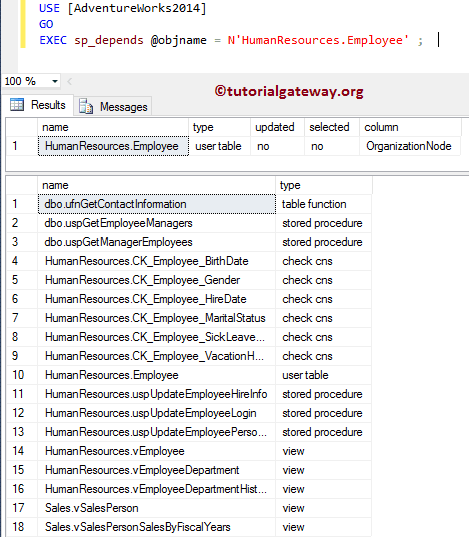 Objects that Depends on Employee: This option will display all the tables, Functions, Views that are depending on the Employee Table. Objects on which Employee Depends: This option will display all the table on which this Employee table is depending. 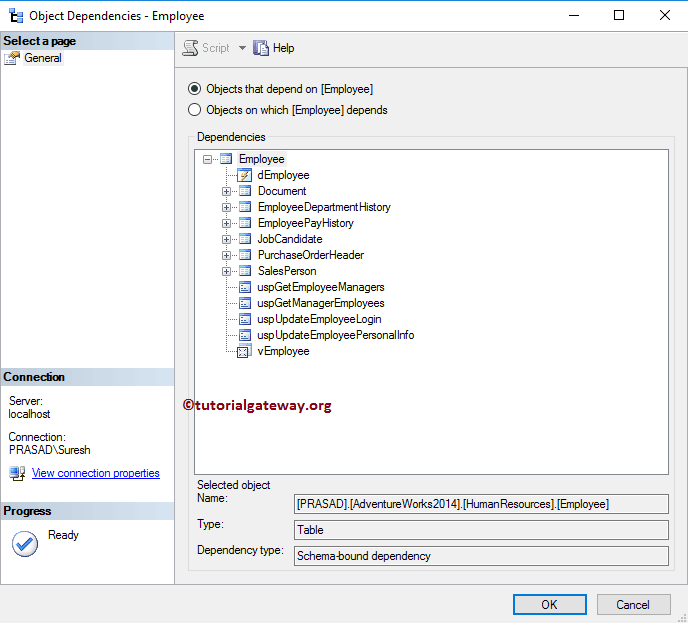 Following are the list of dependencies on Employee table. 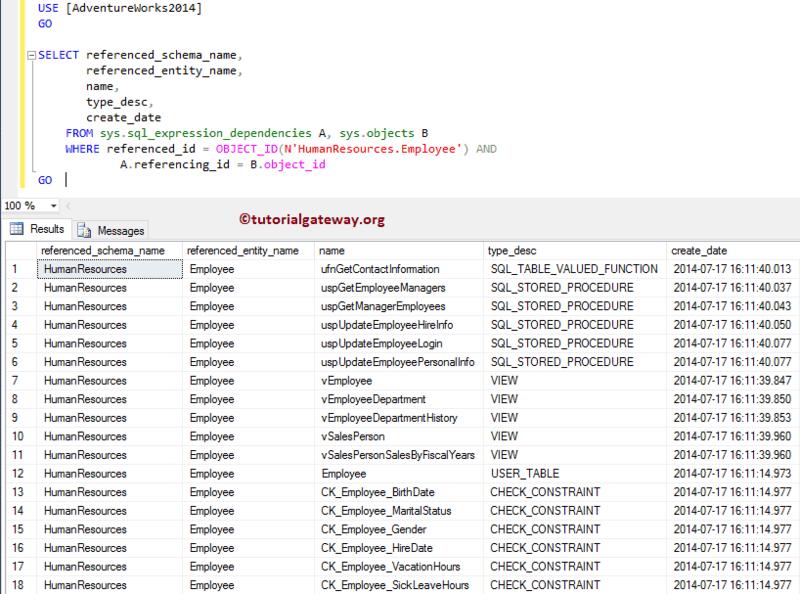 You can use also use T-SQL query to find the Table Dependencies. 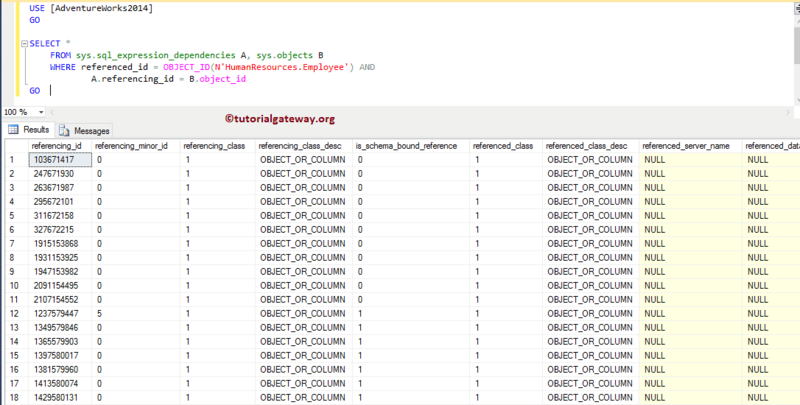 In this example we are using the SP_DEPENDS stored procedure. This will return all the dependencies on the specified Object, It includes Tables, Views, Stored Procedures, Constraints etc.